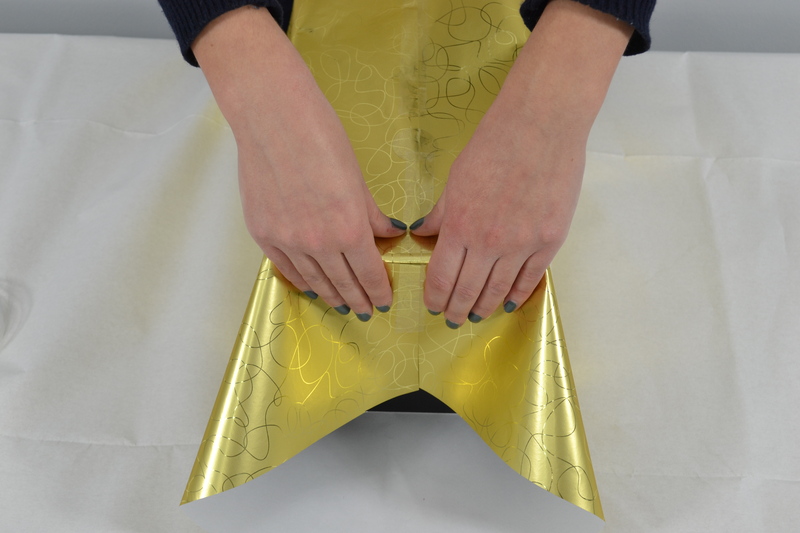 Wrap presents easily this festive season with a little help from our step-by-step guide. 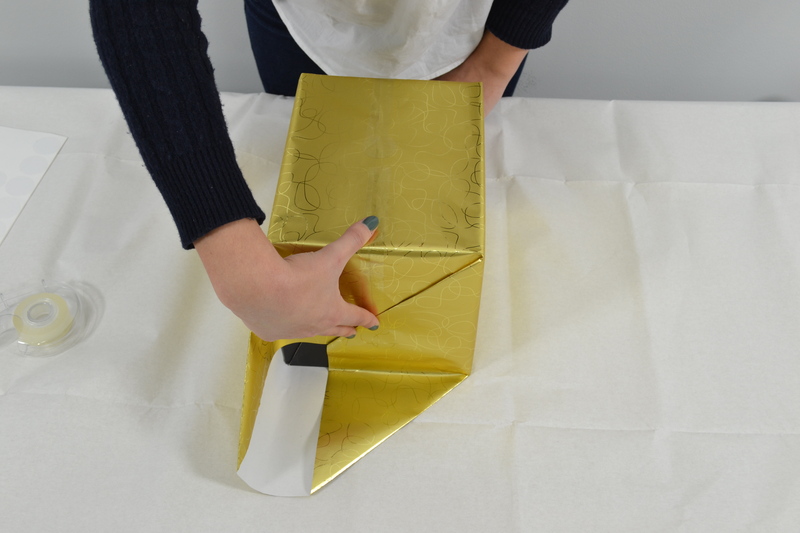 If you struggle with gift wrapping, why not go back to basics and use our handy step-by-step guide to wrapping rectangular presents. If you’re lucky enough to have an easy present to wrap, such as a book, our guide to wrapping presents will have you an expert in no time. In this how to guide, we’ll show you how to wrap neatly and creatively, leaving your friends and relatives impressed with your amazing presentation skills. Of course, if you’ve an awkward-shaped gift and want a quick fix, why not simply pop your present into a festive box first, and then follow our tutorial. After all, beautiful gift wrap can more than make up for a lackluster present. Happy wrapping! Place the box upside down in the middle of your paper. We recommend rolling your box across from the edge of the paper first so you can work out how much gift wrap you'll need. Fold in opposite sides, keeping the paper as tight to the box as possible. 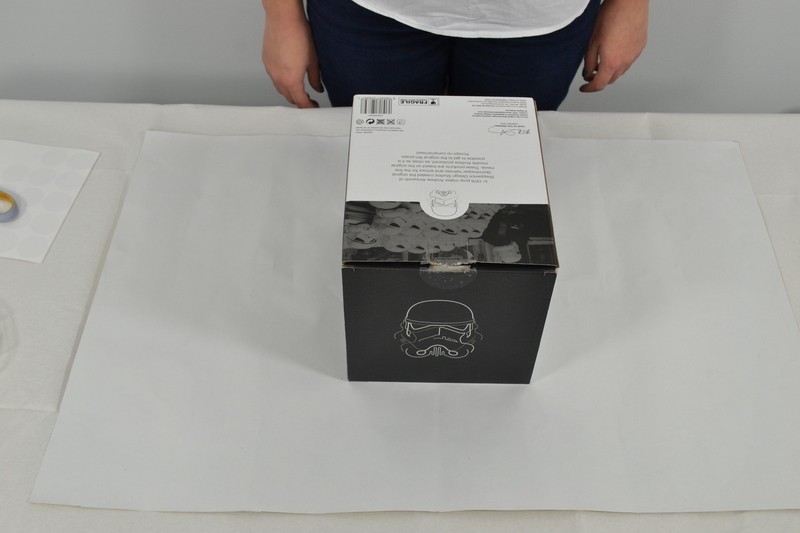 If it’s easier, tape the first side to the box so it doesn’t move, then secure the opposite side over the top. Now for the sides, fold down the top half of the paper flat against the box. Again, if it's easier you can secure the top half against the box using sticky tape, before moving on to the next step. Crease the two sides and fold them inwards. Each side should look like a triangular flap. To make them look neater, crease them crisply. Tape these in place to prevent them from unfolding. The bottom of the paper should now make a triangular flap. Crease the edges and fold it up, taping it into place. Repeat steps 4 - 6 for the other side of the box. Decorate with ribbons, gift tags and bows. 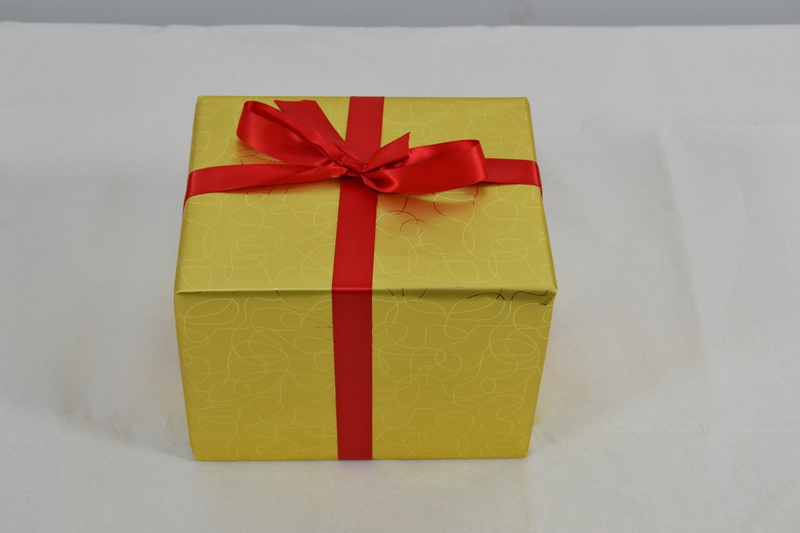 We recommend wrapping a ribbon around your gift before tying it in a simple bow at the top. However, feel free to add whatever you fancy for a more personal touch.